Though residents of Stuyvesant Town and Peter Cooper Village were hit in recent months with a total of five MCIs (major capital improvement rent increases), individuals on SCRIE or DRIE are exempt from having to pay them. However, the Tenants Association noted this week, the exemption is not automatic and those tenants have to file for Tax Abatement Credit Applications (TACs) for each of the MCIs they’ve received. The MCIs went into effect this month, but as of December 27, 2013, the TA said it learned that 59 percent of SCRIE/DRIE tenants in Peter Cooper Village and 77 percent of Stuy Town residents in the programs had not filed for the abatements. Additionally, some of those tenants only filed one application. There are currently between 250 and 300 tenants using SCRIE (senior citizen rent increase exemption) and DRIE (disability rent increase exemption). The programs keep rent-stabilized or rent-controlled residents earning under a certain amount paying the rents they paid when they first signed their leases. This is actually one rent increase behind what they would have paid when signing the lease if not in the program, according to a rep for State Senator Brad Holman. For SCRIE, participants have to be 62 or older and have a household income of no more than $29,000 in the previous calendar year. Additionally, one third of that income must be spent on rent. For DRIE, that amount is $29,484 for a household income in the previous calendar year, $20,412 for single member household in the previous calendar year. One third of the participant’s income must go to rent and the person must be a recipient of government disability benefits. In an official statement, the TA said it is currently working with CWCapital and CompassRock to make sure SCRIE and DRIE tenants will be covered by the TACS. But, the Association warned, until tenants file properly, they will have to pay the MCIs. 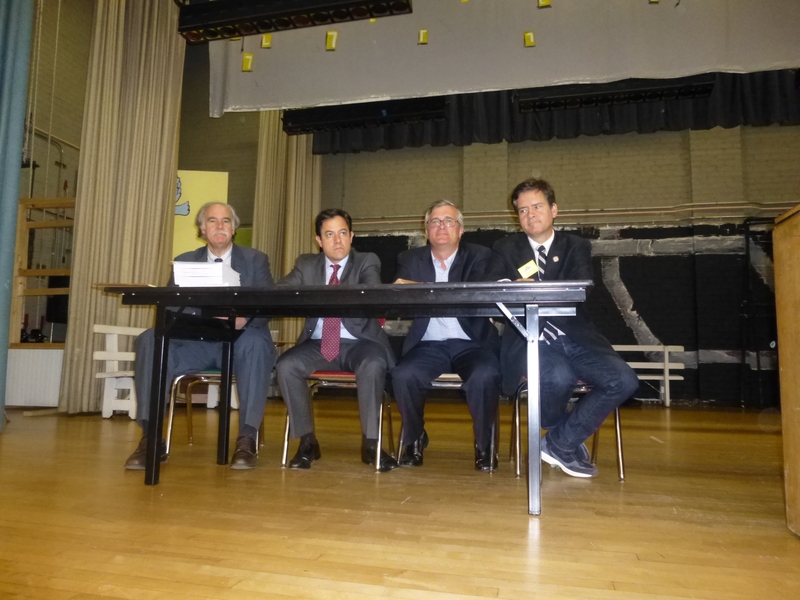 Hoylman, who spoke about the tax abatements at a recent Tenants Association meeting, has also been working with the TA, other local elected officials and the New York City Department of Finance to help tenants file. “These MCI charges are an unfair burden on the ST-PCV community,” said Hoylman. “My office is reaching out to CWCapital encouraging them to preemptively file applications for adjustment on behalf of all SCRIE and DRIE recipients, who are some of the community’s most vulnerable residents.” At the meeting in November, Hoylman also noted that tenants, if not yet participating in SCRIE or DRIE, would have 90 days to apply within an MCI being issued in order for that MCI to be covered. This week, Susan Steinberg, chair of the TA, noted that there’s been a lot of confusion among tenants, SCRIE/DRIE and others, when it comes to the MCIs, which the TA has been trying to fight. “MCIs are definitely a confusing issue, even to those of us who have lived with them for decades,” said Steinberg. She said the TA has gotten about 50 calls and emails on the subject since the January rent bills went out. Last month, the TA started meeting with CWCapital and the state housing agency in the hopes of reaching some sort of settlement. This is after objecting to an earlier proposal by CW to tenants to reduce the amount of tenants’ retroactive payments in exchange for not joining the TA in its pledge to challenge to the MCIs altogether. Those talks took a break for the holidays, but the effort is still ongoing. It was in recent months that tenants got MCIs for work done by Tishman Speyer in 2009 on security upgrades, water valves and tanks, doors and resurfacing. There are two MCIs for Peter Cooper and three for Stuyvesant Town. Meanwhile, the TA has been trying to help tenants who are DRIE/SCRIE understand their responsibilities for exemption. According to the TA, filing can be done online as well as by mail. To get the tax abatement forms online, SCRIE tenants should visit http://www.nyc.gov/html/dof/downloads/pdf/scrie/scrie_tax_adjustment_tenant.pdf. DRIE tenants should visit http://www.nyc.gov/html/dof/downloads/pdf/drie/drie_adjustment_to_abatement.pdf. Tenants can also request forms be mailed to them by calling 311 or they can pick one up at Assembly Member Brian Kavanagh’s district office, weekdays from 10 a.m.-6 p.m. at 237 First Avenue at 14th Street in Room 407. The SCRIE/DRIE program also has a walk-in office, open 8:30 a.m.-4:30 p.m. at 66 John Street, third floor. Editor’s note: This story has been updated from its original version to add that according to Hoylman’s office, with SCRIE, a tenant’s rent is kept at what it was when signing a lease, which is what the previous rent would have been before the last legal rent increase was applied. Additionally, the word “not” was omitted in an original version when mentioning the percentage of SCRIE/DRIE tenants who’d not filed for the abatement. As a resident of Stuyvesant Town since 1973 I am very familiar with MCI charges. Why I personally have no issue paying my fair share for an owner to recoup expenses for improvements I cannot understand why these costs have to result in a ‘permanent rent increase”. Once the owner recovered the cost the surcharges to the monthly rent should be discontinued. NOTHING IS PERMANENT………For example, the new intercom system which happens to be part of these latest MCI’s has already been replaced once and it still does not work properly The same applies to other MCI’s over the years but one example is enough. PER ROOM CHARGE……………..I have no qualms using this formula when improvements pertain directly to the number of rooms in an apartment such as heat, windows, etc. What I do have a problem with is what does the number of rooms have to do with the paving of common areas? Additionally, if each apartment received one intercom unit why does a per room assessment apply? Over the years we have incurred increases and back charges for windows, roofs and other assorted “improvements” that were needed due to the age of the property. Again, why is it a forever charge on the base rent which greatly impacts lease renewals every two years? Once the total cost is recovered the “owner” continues to receive these surcharges? This should not occur and needs to be changed. Rent continues to increase at an unfair and unrealistic pace. Finally, it took nearly 5 YEARS for these MCI’s to be approved. I personally owe almost $5,000 in retro charges. IF the owners of PCVST think they are getting these funds paid quickly they are mistaken. I propose to pay no more than additional $50.00 per month until the retro balance is satisfied. This is the maximum I can afford on my income. •We thoroughly understand our clients’ needs and their industries. •We develop client solutions with the best markets, price and terms. •We relentlessly deliver quality client service. I don’t think they can demand the retroactive fees be paid in a lump sum, can they? They can’t get blood out of a turnip, so I would have to pay them in installments.